Creating more but managing less, digital chaos behind the scenes, Islands of unsecure and out of date information. 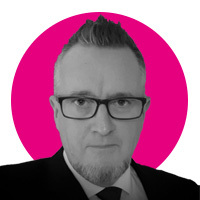 Joe is passionate about product development, project & change management efficiency since the 1980’s and a genuine interest in design engineering, products and business in the digital age. Managing Director of CSI Ltd, the developers of DDM – a multi CAD PDM / PLM solution for SolidWorks, Solid Edge, Inventor, Creo Parametric, IronCAD and AutoCAD covering Document, CAD, BOM, Project, Workflow Process and Supply Chain Data Management.